We have a highly qualified quality department, with thorugh statistical control processes, during the receipt of raw material, product in process and at the time of packing the finished good product, we guarantee to comply with all quality specifications from our custumers. We ask our suppliers to provide us with quality certification of the raw material to ensure thata all our products are reliable and fulfill 100% our customers specifications. 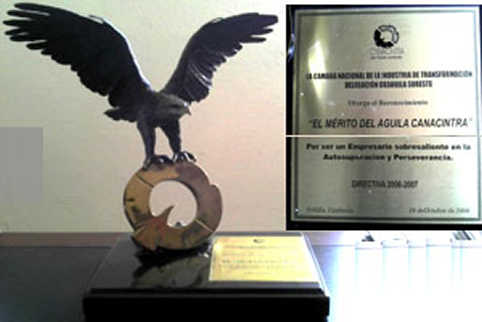 El mérito del Aguila CANACINTRA.